New Year's Computer Resolutions, more! Prepare yourself by getting out the tissues before watching this heartwarming video of a firefighter saving a kitten from a burned house. For more valuable Internet ideas, reminders, tips, trends, troubleshooting and terms, 3 Rivers'Website Compass online magazine is an invaluable resource for virtually anything you do online, both at home and at work. Check out the link at the bottom of this email. Back issues are available. With PlayerFM, you can find, subscribe to, and play podcasts with an easy interface. Use the "Play Later" feature to save episodes for later listening. Just when you thought getting food delivered couldn't be any easier, there's GrubHub. Find your favorite places, order, and pay — all through the app. Like insurance for lost dogs, Finding Rover allows you to enter your buddy's photo into a database for easy identification in case he gets lost. gohighbrow.com – If one of your New Year's resolutions is to broaden your knowledge of the world, this site offers an easy way to do it. You sign up to get free content emailed to you each morning that can be digested in just five minutes. Choose from 62 courses across 10 different categories including art, health, history, science, and more. food.com – Craving some of your usual restaurant picks but don't want to go out to get them? This site features user-submitted recipes for many classic favorites. Brew up some Dunkin' Donuts Iced Coffee, prepare Red Lobster Shrimp Scampi, or create Denny's-style French Toast. Complete with directions, reviews, and nutrition information. bobvila.com – From lunchbox-turned-electronics-organizer to dishrack-turned-file-holder, this slideshow gives you 25 great suggestions for using old storage items in new ways. Looking for a way to round up art supplies? Look no further than an unused cake tray. Want a unique wall shelf? Try an old suitcase. Short Tutorial/FAQ – How Can I Get Rid Of Facebook Ads? Question: The ads on Facebook are really annoying, and there are so many of them. Is there a way to eliminate them? When you see an ad, move your mouse pointer to the upper-right corner and click on the "X." Then you'll see some options for how you want Facebook to treat similar ads in the future. Pick the one that makes the most sense for you. You can use a similar method for sponsored posts in your news feed – in this case, you'll see a down-arrow in the upper-right corner. 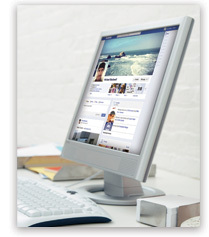 Many Facebook ads are customized for your interests based on your online browsing behavior. (This is why you might notice ads for that cute scarf you were looking at on Amazon right after you viewed the item.) Tools on the Digital Advertising Alliance Consumer Choice Page allow you to learn which companies use this method and opt out from them. Facebook gives you an option to adjust your ad preferences within its settings. To access these options, go to your home page and click the down arrow in the upper-right corner of your screen. Select "Settings." In the left-hand column, choose "Ads," then make your selections from there. If all else fails, consider trying a browser extension like Facebook Ad Block, which claims to remove all ads from your Facebook page.